GUYMON, Okla. – The Guymon Pioneer Days Rodeo has always been the centerpiece to the annual community celebration. It’s a big deal in Texas County, Okla., with thousands enjoying the festivities around town around the first weekend of May. It’s also a huge undertaking, with dozens of volunteers working diligently year-round to make sure event goes off without a hitch. With outstanding weather all week long, the 2018 edition of the ProRodeo Hall of Fame event was one of the best in recent history. Hundreds of contestants made their way to the Oklahoma Panhandle to battle for that prestigious title, and thousands of fans flocked to Henry C. Hitch Pioneer Arena to enjoy the shows. 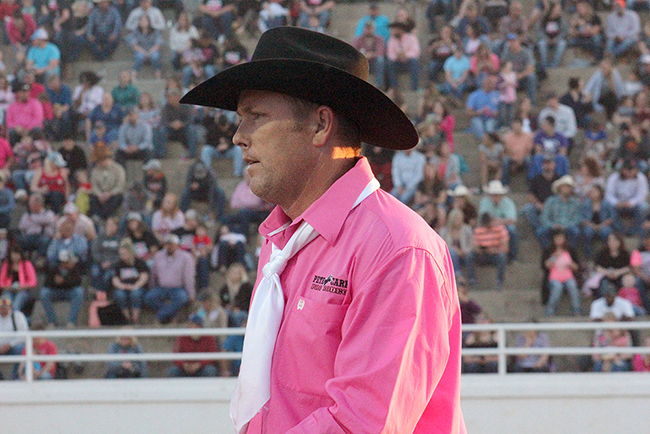 “If I put a grade on our rodeo this year, I would give it an 85 or a 90,” said Mitch Egger, in his first year serving as chairman of the volunteer committee that produces the annual rodeo. “I think everything went well, and the ticket sales were good. Hornless cattle were used in team roping for the first time since 2007. It had always been a staple of Guymon’s rodeo, but there were 11 years that the cattle weren’t available, so the committee utilized traditional corriente steers. After the rodeo struggled financially, Egger made it a point that the committee was to be a good steward of the money it invested into the largest annual event in Guymon. “We’re about $20,000 profitable after the 2017 expenses were paid,” said Egger, who operates a financial planning business. “We had great volunteers. They were absolutely outstanding. Sponsors are a key ingredient to producing an event the size of Pioneer Days Rodeo. It’s a marketing opportunity for them: Their brand awareness is increased in front of a large audience, and they show their support for helping produce one of the best rodeos in the country. Like any building project, each block added to the foundation will just make it stronger. That’s exactly what Egger and the rest of the committee is doing.